1 10 To The Pirates Cave! 1 3 The Black Pearl. 1 6 Walk The Plank. 1 15 Hes A Pirate. 1 14 One Last Shot. 1 13 Underwater March. 1 11 Skull and Crossbones. 1 9 Moonlight Serenade. Of Discs: 1 disc(s) Studio / Label: WEA UK Release Date: 06 Oct 2003. Disc 1 19 Flip Sting 0.04 mins. Disc 1 21 Axe Throws 0.11 mins. Disc 1 18 Banister Fight 0.21 mins. Disc 1 7 Run Fay Run 2.46 mins. Gonna fly now - The Rocky Orchestra. Format: CD. Classic Artists. Sale Corner. Eye of the tiger - Survivor. Burning heart - Survivor. Of Discs: 1 disc(s) Studio / Label: Polydor UK Release Date: 03 Sep 2001. Disc 1 5 Rhythm of the Night 3.49 mins. Disc 1 3 Because We Can 3.27 mins. Disc 1 16 Lady Marmalade (Thunderpuss Radio Mix) 4.09 mins. Psychomania - Soundtrack CD. Features music and dialogue from the cult British horror film,performed by John Cameron. CD and booklet are like new. Various Artists : The Wheels On the Bus CD (2003)Title: The Wheels On the Bus Artist: Various Artists Genre: Childrens|Musical Duration: 39.50 mins Format: CD / Album Type: CD No. Disc 1 8 Riding My Bicycle 2.10 mins. Colonial Man. As you can see from the photograph, this item is in the condition as described above in more detail. The item that you are looking at is The Boy's Doin' It. In The Jungle. THE ORIGINAL SONGS FROM THE ROCKY MOVIES. THE ROCKY STORY. 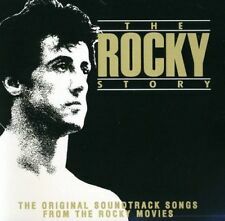 Gonna Fly Now - The Rocky Orchestra. VARIOUS ARTISTS. Eye Of The Tiger - Survivor. Of Discs: 1 disc(s) Studio / Label: Sony Music UK Release Date: 08 Sep 2003. Disc 1 1 Fighting Temptation 3.51 mins. Disc 1 11 Swing Low Sweet Chariot 2.05 mins. Disc 1 14 Don't Fight the Feeling 3.06 mins. Of Discs: 1 disc(s) Studio / Label: GNP Crescendo UK Release Date: 10 Jun 2003. Disc 1 1 Stargate Sg-1: Main Title 1.03 mins. Disc 1 11 Stargate Sg-1: End Credits 0.58 mins. Disc 1 9 Suite From Tin Man 6.57 mins. Of Discs: 1 disc(s) Studio / Label: Virgin EMI Records UK Release Date: 24 Feb 2003. Disc 1 7 My Life (Cradle 2 The Grave) 4.15 mins. Disc 1 13 Hand That Rocks The Cradle 4.13 mins. Disc 1 9 Drop Drop 4.17 mins. Very good clean disc & case. (the 'stain' on the cover is the original artwork - that's how they look.). Of Discs: 1 disc(s) Studio / Label: Epitaph UK Release Date: 30 Jun 2003. Disc 1 5 My Favorite Accident 3.20 mins. Disc 1 12 Mary Without Sound 3.00 mins. Disc 1 1 Cambridge 2.30 mins. Disc 1 2 Shiver 2.54 mins. Artist Bob the Builder Title The Album Release Date 2003-05-05 Label: EMI Records Number of Discs 1. 1 3 Bobs Line Dance. 1 11 No Prob Bob. 1 12 Crocodile Rock. 1 4 Right Tool For The Job. 1 10 No One Can Dig It. Of Discs: 1 disc(s) Studio / Label: Island Records UK Release Date: 21 Jul 2003. Disc 1 2 The Anthem 2.54 mins. Disc 1 4 The Hell Song 3.20 mins. Disc 1 8 The Art Of Losing 3.21 mins. Disc 1 9 Fever For The Flava 4.04 mins. 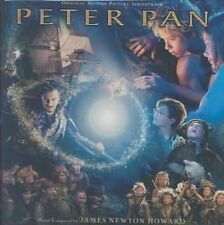 Of Discs: 1 disc(s) Studio / Label: Universal Classics UK Release Date: 01 Dec 2003. Disc 1 15 Full Circle 1.34 mins. Disc 1 14 La Musica Notturna Delle Strade Di Madrid No. 6 Op. 30 9.23 mins. Disc 1 13 The Battle 5.07 mins. Of Discs: 1 disc(s) Studio / Label: Castle Pulse UK Release Date: 14 Apr 2003. Disc 1 5 Pumping Iron 3.28 mins. Disc 1 3 U.N.C.O.U.P.L.E.D. 2.27 mins. Disc 1 4 Crazy 2.30 mins. Disc 1 6 One Rock 'N' Roll Too Many 2.46 mins. Of Discs: 1 disc(s) Studio / Label: Sony Music UK Release Date: 13 Jan 2003. Disc 1 1 Overture/ And All That Jazz 6.03 mins. Disc 1 6 We Both Reached for the Gun 3.57 mins. Disc 1 17 Cell Block Tango (He Had It Comin') 3.40 mins. Disc 1 6 Sound of the Revolution 4.03 mins. Disc 1 12 Still Life 4.27 mins. Disc 1 20 The Final Fight (Original Score) 4.02 mins. Disc 1 4 Dead Guys With Bombs 2.54 mins. Disc 1 19 Sugar Water 4.29 mins. Of Discs: 1 disc(s) Studio / Label: Virgin EMI Records UK Release Date: 31 Mar 2003. Disc 1 1 Main Title - Moonraker 3.11 mins. Disc 1 10 End Title - Moonraker 2.28 mins. Disc 1 5 Bond Lured to Pyramid 2.07 mins. Max Bygraves : Singalong Favourites CD (2003)Title: Singalong Favourites Artist: Max Bygraves Genre: Easy Listening|Vocal - Male Duration: 46.10 mins Format: CD / Album Type: CD No. of Discs: 1 disc(s) Studio / Label: Music Digital UK Release Date: 18 Aug 2003. Moulin Rouge. Title : Moulin Rouge. Artist : Various Artists. Condition : Very Good. Product Category : Music. Of Discs: 1 disc(s) Studio / Label: Avid UK Release Date: 17 Mar 2003. Disc 1 25 Tumble Tots Are Great 2.53 mins. Disc 1 21 Glow Worm 2.00 mins. Disc 1 2 Six Little Ducks 1.55 mins. Disc 1 4 I Have Two Eyes To See With 1.25 mins. Of Discs: 1 disc(s) Studio / Label: WEA UK Release Date: 24 Nov 2003. Disc 1 7 The Ride Of The Rohirrim 2.08 mins. Disc 1 1 A Storm Is Coming 2.52 mins. Disc 1 5 The Steward Of Gondor 3.53 mins. Disc 1 13 The Fields Of Pelennor 3.26 mins. Angelina Ballerina Presents Classic Ballet Favourites CD (2003)Title: Angelina Ballerina Presents Classic Ballet Favourites Genre: General|tbc Duration: 78.20 mins Format: CD / Album Type: CD No. of Discs: 1 disc(s) Studio / Label: Universal Classics UK Release Date: 03 Nov 2003. Tom Jones - Greatest Hits (CD). Condition is Very Good. Of Discs: 4 disc(s) Studio / Label: Silva Screen Records UK Release Date: 27 Sep 2003. Disc 3 5 The Cowboys - Overture 9.46 mins. Disc 3 6 The Poseidon Advenutre - Prelude 2.53 mins. Disc 4 5 Harry Potter and the Chamber of Secrets - Fawkes the Phoenix 3.39 mins. NO CASE CD AND COVERS ONLY FRONT AND REAR. CD HAS SURFACE MARKS DOES NOT EFFECT PLAY. 1 1 Look Through My Eyes - Phil Collins. 1 6 On My Way - Phil Collins. 1 9 Transformation - Phil Collins. 1 11 Awakes As A Bear (Score). The Rocky Story. Title:The Rocky Story. Your item will be previously owned but still in great condition. The disc will play perfectly without interruption and the case, inlay notes and sleeve may show limited signs of wear. Your item will be previously owned but still in great condition. The disc will play perfectly without interruption and the case, inlay notes and sleeve may show limited signs of wear. Need help?. Product Details. Of Discs: 1 disc(s) Studio / Label: Sweet Lil Gal UK Release Date: 05 Oct 1998. Disc 1 14 Maryland 3.52 mins. Disc 1 13 I Only Want to Be With You 2.12 mins. Disc 1 12 It's in His Kiss (The Shoop Shoop Song) 2.33 mins. Of Discs: 1 disc(s) Studio / Label: Atlantic UK Release Date: 10 Dec 2003. Disc 1 1 School Of Rock 4.12 mins. Disc 1 9 Set You Free 2.44 mins. Disc 1 7 Sunshine of Your Love 4.10 mins. Disc 1 6 I Pledge Allegiance to the Band. 0.49 mins. BONNIE RAITT. Lover's Will. THE BEST OF. Not The Only One. Spit Of Love. Rock Steady (Live). Nobody's Girl. Xanadu - Various (3.28). Primary Artist: Various. Magic - Various (4.3). Suddenly - Various (4). Dancin' - Various (5.16). I'm Alive - Various (3.45). The Fall - Various (3.34). Don't Walk Away - Various (4.47). 2003 re-issue of classic 2002 double album. Other Info.